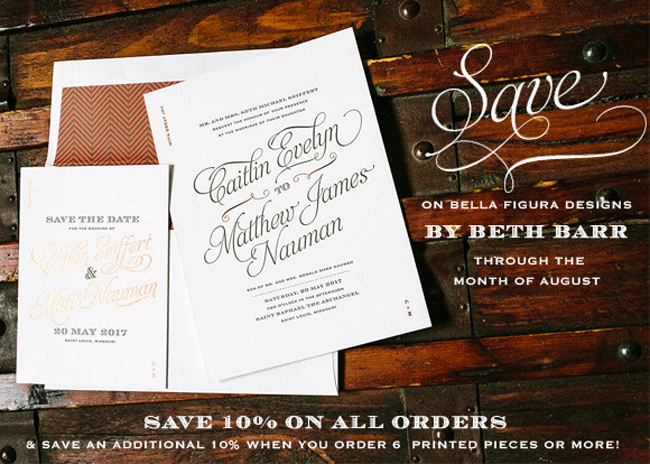 Beth Barr is the Bella Figura August Designer of the Month! Save 10% on all twelve of the designs in Beth’s collection during the month of August (plus, save an additional 10% if you order six printed pieces or more!). 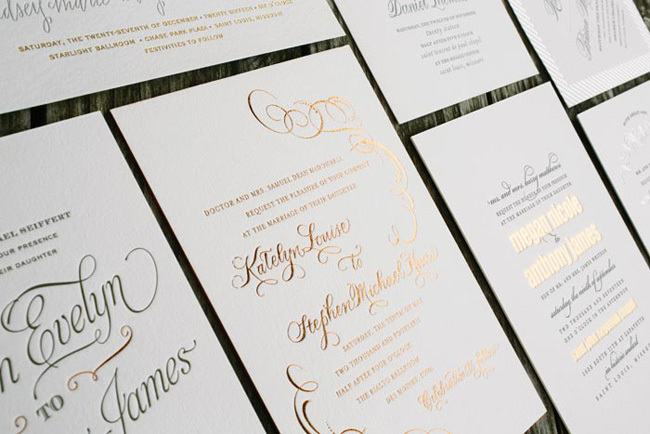 Beth’s designs are modern yet elegant, and feature sophisticated foil accents, romantic swirls and gorgeous typography. 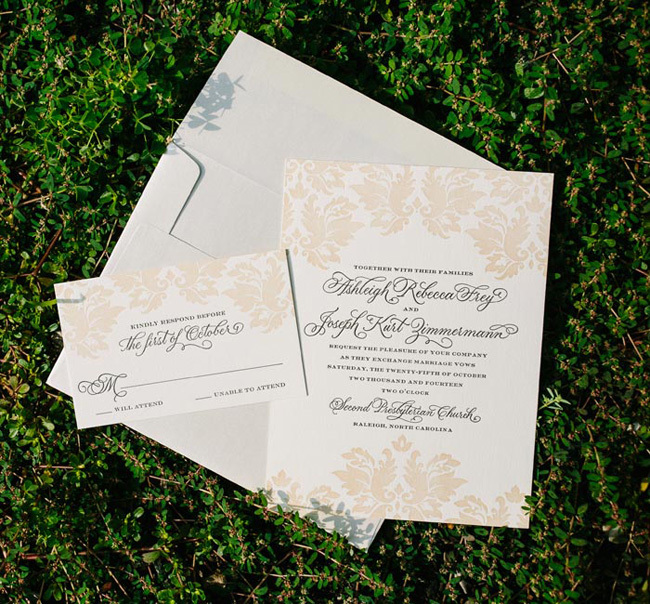 Every piece in Beth’s collection — invitations, save the dates, menus, social notes, you name it! — is on sale this month! To schedule an appointment for an invitation consultation give us a call at 858.456.1446 or use our handy online calendar.